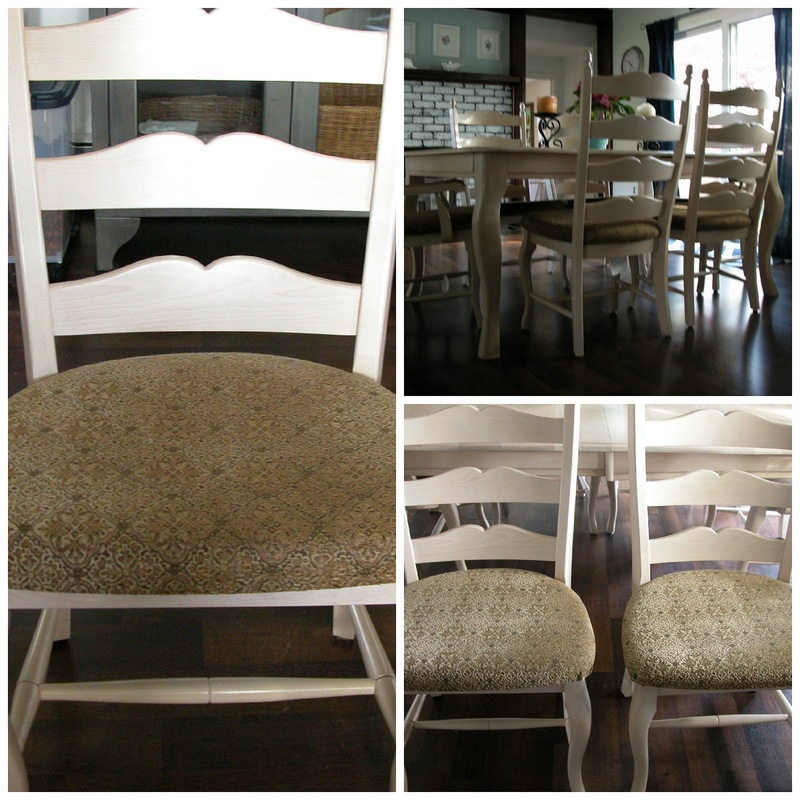 Changing the fabric on dining room chairs is easy to do. I wanted a nautical feel and fell in love with this blue and white stripe fabric. For this project, I used 4 1/2 yards of fabric to cover six chairs. Oh! because I changed the fabric on the chairs I had to purchase new curtains to complete the look. I found new curtains at Home Goods at $16.00 for the pair. Tools you'll need a measuring tape, scissors, screwdriver, staple gun. The first step was to take the cushions off. ( I did one chair at a time.) Next lay the fabric out, measure and cut to size. Leave at least 2" extra to allow for any mistakes. This is the first time I attempted this kind of project. After you have stapled all around the chair and your hand and fingers are killing you from holding that staple gun, flip the cushion over and smile and give yourself a pat on the back. Grab your screwdriver and screw it back on the chair. That's it!! Now only five more to go. And now I have 6 new beautiful chairs! The print above the chair is of my husband's former boat moored in the bay down the street from where we live. We stumbled upon it at a local art gallery. We were surprised!!! Your chairs look wonderful - great choice of fabric! I love your white dining room set! 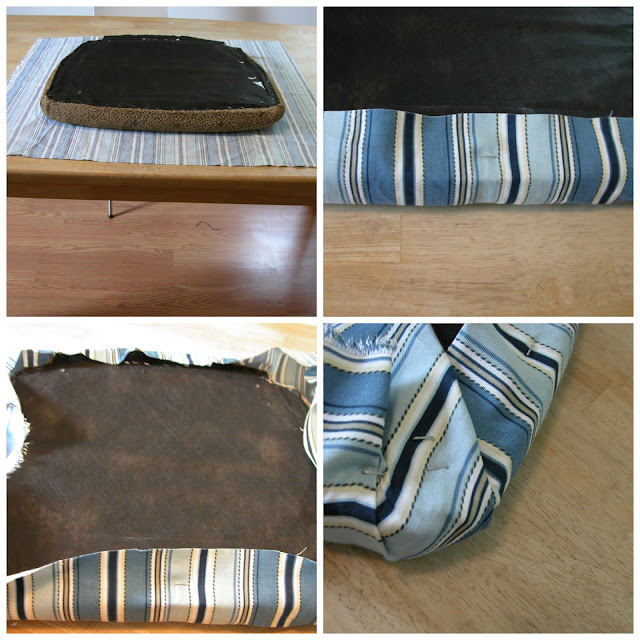 And your redo of the chair cushions is perfect. Those turned out fantastic! Did you hear there is a new syndrome? It is called Staple Gun Finger. I have been cured and hope to never come down with it again. Your chairs look fabulous! I really like all the blue in your dining room, it looks like summer! Love the transformation!! Great job. Grab a featured button here http://bit.ly/11S2wN1. Our next party starts at midnight tonight so find something cool to BRAG ABOUT and link it up. Great job love the colors! Love the stripes! And the whole room is just really pretty and tied-together! Julie, your dining room looks lovely. The chairs look great with the colors shades in the curtains. I'm also linked for Anything Blue Friday. Drab to fab is absolutely right. They look fantastic with the new fabric! And your dining room is so pretty. Great job! How fun that must have been too! Enjoy! Great job! 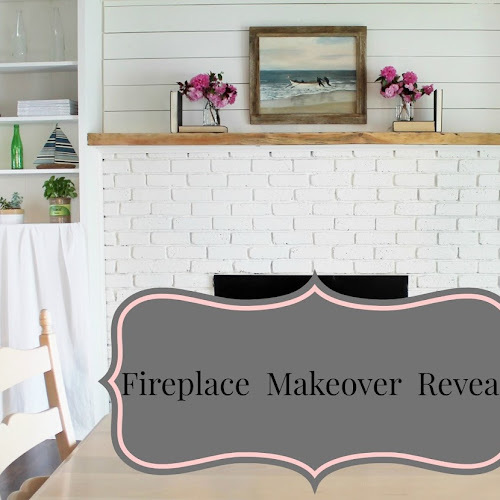 Your dining room looks so beautiful! your post about these chairs is very nice! I purchased the fabric at Joanne Fabric store I'm sorry I can't remember the brand or the name of the fabric. I am glad you like it. Hope you can find the same fabric or something similar. Thanks for the visit!